The realisation of ‘Unmanned Valley’ Valkenburg is crucial for the valorisation of new technologies. 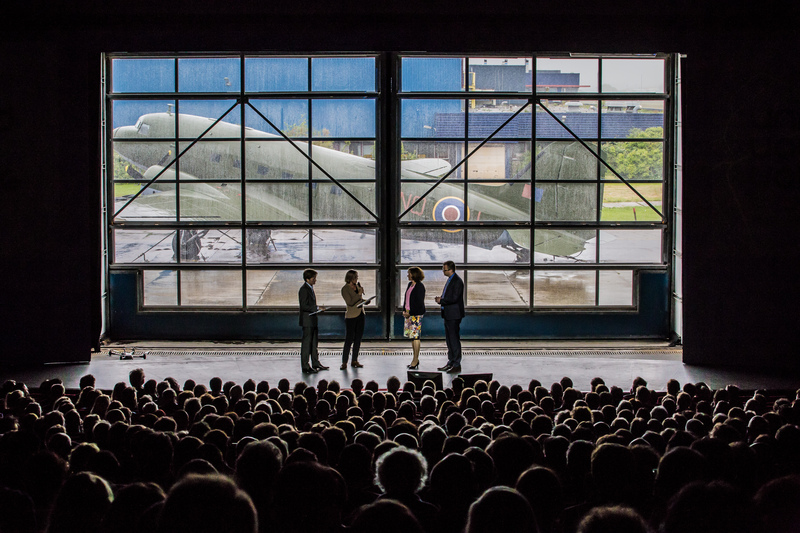 That is the message delivered by professor Hester Bijl from Delft University of Technology at the InnovationQuarter year event, which found place at the former airport in Katwijk. Together with Prince Pieter-Christiaan van Oranje, Bijl presented a bidbook to transform Valkenburg into a testing ground for drones and unmanned vehicles. Pieter-Christiaan is the initiator of Unmanned Valley. "This region has everything required to play an international leading role"
"Our future is unmanned. So let’s make sure that we develop that technology here!"